In this category you will find a selection of the best free PC / Computer racing games. Free car games, truck racing games, etc. All this games are full version and legal. 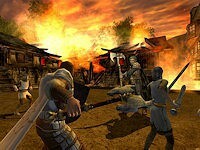 Lord of The Rings Online is a free fantasy MMORPG based on the Tolkien work. Players will be able to play as Human, Elf, Dwarf or Hobbit, in a game for the most part PvE based. Theres some PvP in the form of Monster Play, where players can impersonating monsters, and try to kill other players. Allods Online is a free fantasy MMORPG, where the action takes place on some sort of islands called allods, that are the remains of the Planet Sarnaut. 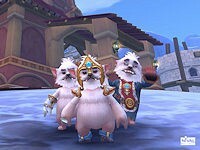 The game have solo, group, guild and raid PvE content, also supports PvP action. Choose from the two warring factions: the Empire and League, six available races and between 28 classes. 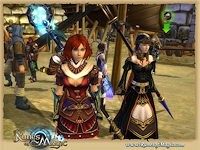 Runes of Magic is a free MMORPG (Massively Multiplayer Online Role Playing Game), with 8 classes to choose from, a dual class system, over 2000 quests, player and guild houses and supports PvP (Player versus Player) in arena battles and guild wars. 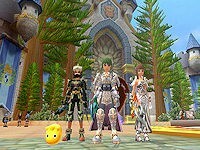 Grand Fantasia is a free MMORPG with an anime inspired theme where the most unique aspect reside on the pet system. They have a strong pet customization, pets can craft, lots of different mounts, PvP combat, team battlefields, dungeons to explore, auction houses and epic world bosses. Knights Online is a free fantasy MMORPG, with a great enphasis on PvP (Player versus Player), with two factions at war, El Morad and Karus. The game have PvP areas, player ranks, castles sieges and battle zones. Anarchy Online is a science fiction free MMORPG that takes place in a distant future, in a lush land called Rubi Ka, where theres a brutal war between two factions. At the heart of this conflict is a rare mineral called notum that exists only on Rubi Ka. Notum is a key element in the production of nanotechnology. Voyage Century Online is a free MMORPG that places enphasis on exploration, trade and combat and takes place at the age of sail, more specifically the sixteenth century. The main features includes: epic sea battles, craft and trade in the high seas, lots of action and adventure and a good avatar customizing system. 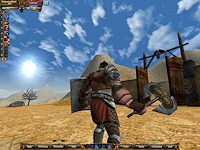 Dungeons & Dragons Online is a free fantasy MMORPG based on the popular board game with the same name. 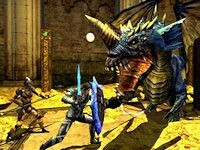 This MMORPG was once a pay to play (P2P) game and now Turbine decide to make it a Free to Play (F2P) MMORPG.